For their first album in three years, Alberta Cross had to do a lot of traveling. At times, they literally traveled across the globe, and musically, they traveled across a varied sonic landscape. After the release of 2009’s The Broken Side of Time, vocalist Petter Ericson Stakee and the rest of the band toured extensively, effectively draining themselves to the point where the band had to regroup, several times, on their way to 2012’s Songs of Patience. Returning to their original two-man line up after performing for a period of time with five members, Ericson Stakee and bassist Terry Wolfers assembled this somewhat piecemeal record. Having traversed across North America and Europe to perform at festivals and open for bands like Them Crooked Vultures and Black Rebel Motorcycle Club, it feels like Alberta Cross have absorbed influences from the musical scenery in addition to just passing through. On several tracks they have imported the far away, fuzzy sounds of Brit-pop bands such as Superchunk and Oasis (another band they opened for.) There are some echoey, drugged out moments on one of the best tracks, “Crate of Gold,” where Alberta Cross survey the territory of bands like The Music and to a lesser extent their American counterparts, The Vines. Speaking of America, they would have been right at home in 2003 when Jet and pre-Because of the Times Kings of Leon we’re gallivanting through the mainstream with their retro sounding southern rock and garage revival hybrids. On “Wasteland” they bring these comparisons all together as it sounds like a Brit-pop version of a Rooney song sung by Tim Wheeler of Ash. If this all makes the music seem familiar, it should – and that is hardly a criticism. 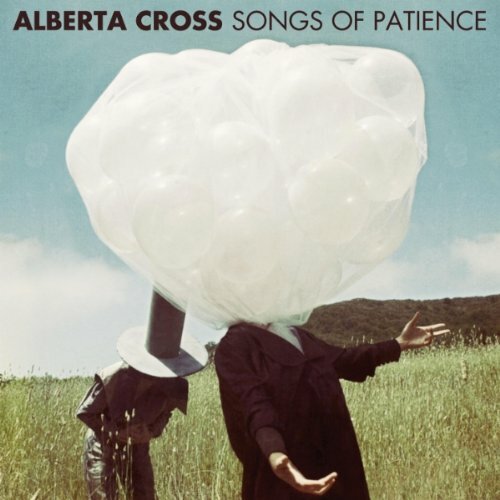 On Songs of Patience, Alberta Cross have built an impressive musical library. In literary terms, this album is less of a novel and more of a short story collection. Assembled over the course of thirty six months, a time during which Alberta Cross were at a crossroads, attempting to figure out who they were as a band, Songs of Patience, an album that could’ve been a complete train wreck, instead emerges as the successful end of a well worn journey.